This week, all eyes are on Wukan as the world awaits to see how the unprecedented struggle of one Chinese village develops. 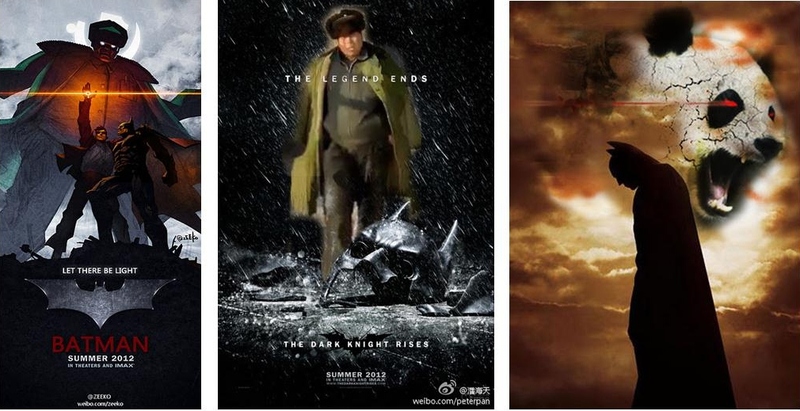 If Christian Bale didn’t get to see his personal hero on Thursday, he more than succeeded in throwing a hand grenade at the feet of the Party while lighting a firestorm—a joyful one—among Chinese netizens. Friday, we finally heard words from the authorities about Gao Zhisheng after he had gone missing for more than a year and a half. Also in this issue are items taken from Weibo before Yaxue’s account was obliterated earlier this week (possibly for helping spread information about Wukan). Click on date below item for link to the original. I have had a growing dread all week and it knotted up in my throat Friday morning when I heard that the rights lawyer Gao Zhisheng (高智晟) was “put back in prison” for violations during the five-year probation that will end in 6 days, while, for all that time, he has never been free of police control and has been “disappeared” since April, 2010. To me, this doesn’t bode well for Wukan and Guangcheng. wenyunchao北风/Bei Feng/(Chinese activist and a producer of iSun Affairs in Hong Kong)/: Held in custody incommunicado, Gao Zhisheng managed to violate probation restrictions. What an amazing country. liushui1989刘水/Liu Shui/(independent scholar)/: Wukan farmers give us confidence. From their banners of “Oppose Dictatorship” and “Give Back Our Human Rights”, to their banding together to defend the village, to their statement made to the reporters that “Only reform, not revision, is the solution”, they have made the right appeals and know exactly what they want. Lufeng [陆丰, where Wukan is] in southeastern Guangdong is a poor area, and the villagers indicated how well the majority of them are thinking for themselves. I have come across farmers suffering from similar plight of land loss, and their long-term struggle for rights has made them intelligent and clear-minded. 黎学文在北京/Li Xuewen in Beijing/(Writer, publication planner)/: Wukan has become a specimen of [China’s] failure in village governance. A close look at the multiple protests since September shows that: 1. The position of party secretary has been held by one man named Xue Chang (薛昌) for over 40 years; village election has never really been implemented; China’s Villager Organization Act (《村民组织法》) is nothing but a piece of paper; and rural democratic governance is bankrupt. 2. For years the land dealings have been monopolized by the party secretary, and the village strongmen collide with higher-level officials to establish a strong interest chain and a network that loots the village’s wealth without scruples. 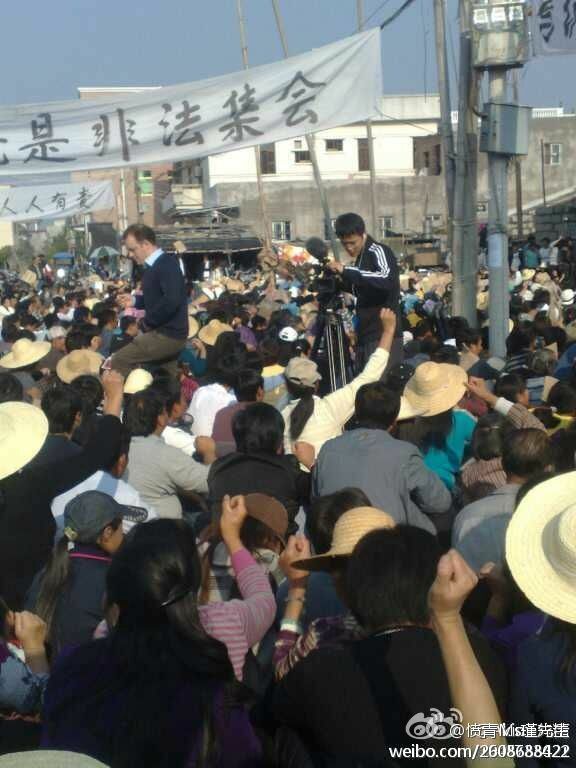 uGalaxy加乐西 /jia le xi/(netizen)/High-profile events, such as the Wukan protest, will have many economic repercussions. First, it shows that the authorities are ruthless and the society unstable, therefore the elite will want to immigrate with their wealth. Second, it shows the economy itself has fundamental problems, for an economy based on selling land cannot go on forever, and the Chinese do not have infinite tolerance for it anyway. And third, the stability-maintenance industry creates new trenched interest, but it is unproductive and costly. 赵楚/Zhao Chu/(scholar in military affairs, web commentator)/: The concept of “overseas hostile element” is a variation of the witch-hunt mentality that has prevailed from Yen’an [延安, communist base before 1949] all the way to the Cultural Revolution when it reached a frenzy. The biggest service it does is to absolve the authorities of their responsibility, blame a non-existent enemy for their own mistakes in policy-making and actions, and at the same time, create wide-spread hostility [toward this “enemy”] through the most barbaric methods. 赵晓/Zhao Xiao/(professor at University of Science & Technology Beijing)/: The most terrifying monster, the tax Leviathan, is more ferocious than tigers! According to numbers released by the Ministry of Finance on the 11th, from January to November this year, China’s tax revenue totaled RMB9,730.9 billion [about USD1,537 billion] , a 26.8% increase from the same period last year, and almost 3 times China’s growth! No wonder private enterprises are jumping off buildings to their death. The only way for them to live is to run away fast! By T in Uncategorized on December 17, 2011 . Excellent post Tom. Seeing how people in China (Chinese and foreigners) are reacting to these recent events is encouraging in the fact that it just might lead to some government reform. It’s important that all of us do all we can to spread the word of all the atrocities that are being committed by the China government towards their people. “Only reform, not revision, is the solution” is the new mantra for the people of China. Readers interested in knowing a little more about the rights lawyer Gao Zhisheng can read this post by P. J. Mooney: http://pjmooney.typepad.com/my-blog/2011/12/rights-lawyer-gao-zhisheng-and-the-luxury-of-being-in-prison.html. Chinese government has treated Gao brutally in particular, because he himself is a christian, and he tried to defend the rights of another faith group: the Fa Lun Gong. On Twitter, people tweeted that the Wukan villagers only learned about 1989 recently. Also, how panda becomes the symbol for Chinese security thugs: Chinese national security (more like secret police) is called 国保(guo2 bao3) for short, and it’s prounced exactly the same as 国宝, national treasure. Netizens sometimes refer 国保 as 国宝, jokingly, hence Panda, China’s national treasure. Kungfu Panda movies provided the basis for Panda to be a martial character. Can you explain (perhaps with the Chinese characters for clarification), what this sentence means, especially the term “stability-maintenance industry” means? “stability-maintenance industry”– 维稳产业：Isn’t that obvious? China’s spends more money on stability maintenance than on military. Where does that money go? Wherever it goes, it is part of the stability-maintenance industry. On a separate note: As someone who is rejected by Sina.com, I am happy to report that its stock price dropped 10% this week as a result of Weibo censorship and the coming account verification to drive away outspoken voices. I was wondering if the writer was also referring to the private security/thug business. An interesting fact about Wukan: it is a community of christians. Don’t know whether they are all catholic, but there is a sizable catholic church, and the home of a catholic villager is used as the villagers’ own media center. Having lived in Guangdong for 6 years myself, I do know that christianity has long roots there. I am hoping it is something that will play to their advantage. Merry Chrismas, Wukan!